It’s rare in Hollywood to find love that stands the test of time. 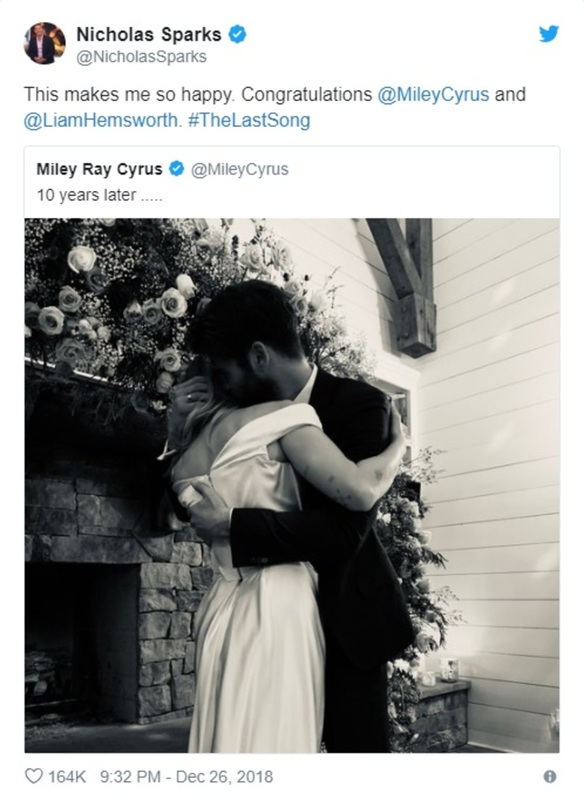 But after a roller coaster ten years of on and off romance, things have finally fallen into place for Miley Cyrus and Liam Hemsworth. Rumours began to circulate that the famous duo had tied the knot in late December 2018, and Miley took to Instagram later in the week to confirm the news herself. Of course, the announcement spread like wildfire! How Did Miley and Liam Meet? The newlyweds met all the way back in 2009 during the filming of coming-of-age rom-com The Last Song. The film adaptation of the Nicholas Sparks novel was a surefire success, but it was the relationship between the lead actors that really kept fans hooked. Over the years, their whirlwind romance has made headline after headline and filled the pages of magazines. In 2012, Hemsworth decided to take their romance to the next level by proposing to his former co-star. But any plans that may have been made for a wedding were called off just a year later. The couple decided to go their separate ways, and fans were left wondering if the pair would ever reunite for a number of years. Casting all doubts aside, Miley and Liam officially rekindled their love story in 2016. And it didn’t take long for speculation to start that an engagement was on the cards once again. Between them, the power couple have their fair share of fans! So, it’s no surprise that social media went into meltdown as rumours of their marriage were confirmed. But one of the most notable Tweets was one posted by The Last Song author himself, Nicholas Sparks. The romance novelist re-shared a wedding photograph posted by Cyrus, and congratulated the couple on their wedding. 2018 was a big year for weddings, from the royal weddings to Nick and Priyanka’s week-long celebrations. But opting for a low-key, family affair, Miley and Liam were married in an intimate ceremony on December 23rd. The special occasion took place at none other than Miley’s property in Tennessee. Noticeably informal, the wedding photographs shared to social media offered fans some personal insight into the secret celebrations. Cyrus has never been one to shy away from making a fashion statement….but when it came to her wedding day, Miley stayed way from eccentricity. Instead, she opted for an elegant off-the-shoulder gown by Vivienne Westwood. The flowing fit and trail of the dress were certainly in keeping with the ethereal decorations of their wedding backdrop. Of course, the couple’s wedding snaps included a selfie…the ultimate marking of a modern romance! But social media aside, this story really has finished with a good old-fashioned happily ever after. At Signature Living Weddings, we’re home to a wide range of versatile wedding venues. So whether you’re opting for big and extravagant or planning a more intimate affair like Miley and Liam, look no further for the perfect setting for your special day. Rainhill Hall is one of our most exciting venues yet; the Grade II listed country house will be transformed into a fairytale wedding venue surrounded by enchanting grounds. So for those with a love of the great outdoors, our dedicated wedding coordinators can bring your dream wedding to life. 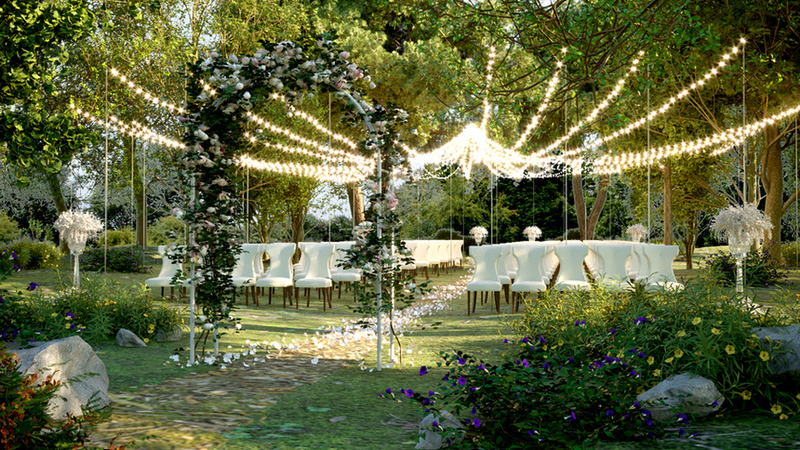 The luxury venue will also be home to spa facilities and woodland-style cabins, including a treetop Bridal Suite. What more could you wish for on the most memorable day of your life? To be one of the first to get married at Rainhill Hall, get in touch today! Our helpful team will be ready to assist you every step of the way. You can reach us by completing our online contact form or on 0151 305 3753.